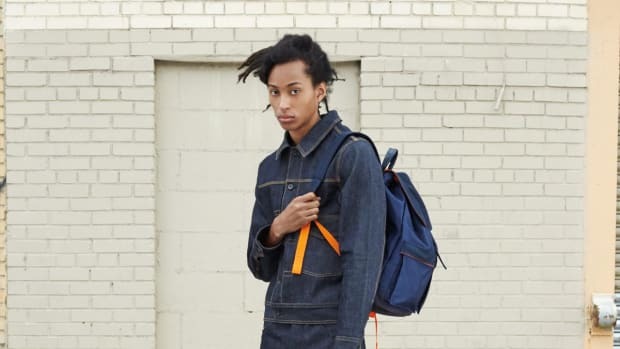 New York-based Rag & Bone tamps down its edginess for a leather-trimmed nylon-canvas backpack, which takes on a vintage outdoor aesthetic suitable for either a day trip or everyday use. 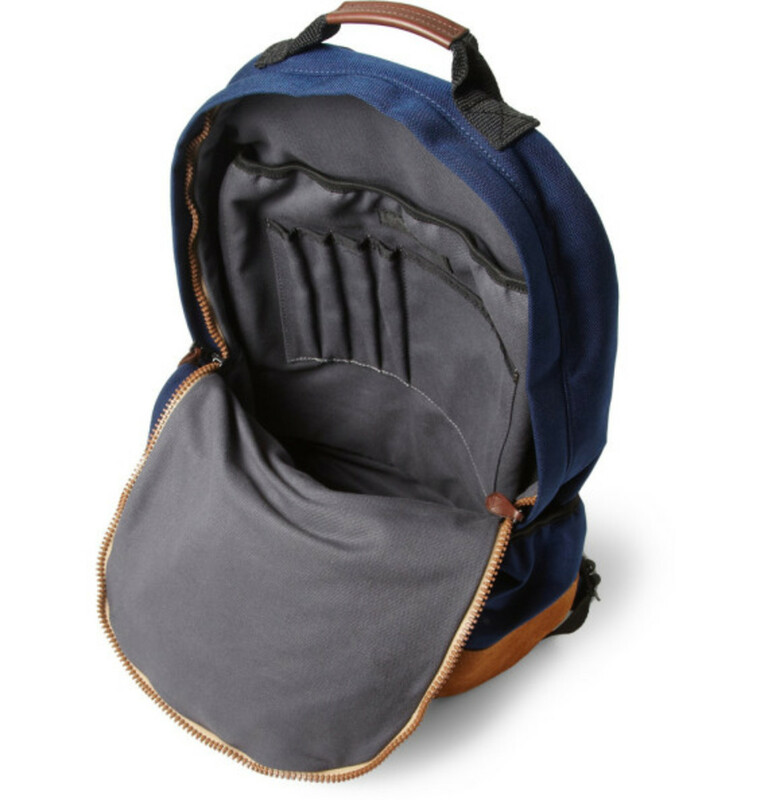 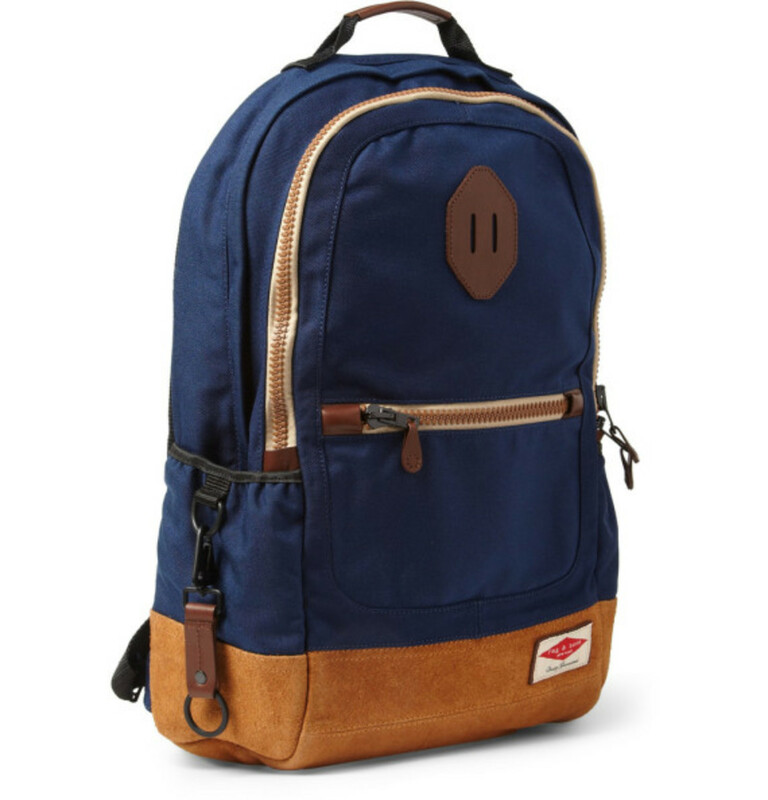 Built with a navy nylon-canvas shell, the carryall is complemented with brown leather accents and a reinforced bottom suede panel in a lighter brown shade. 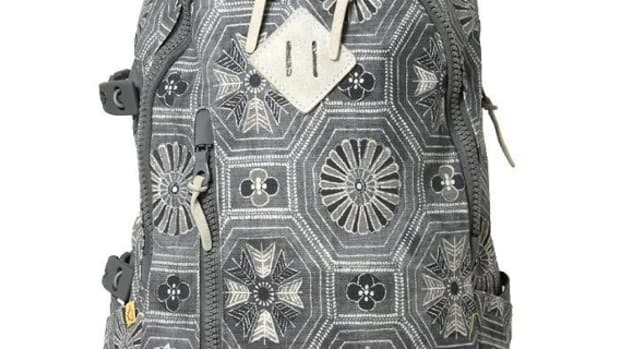 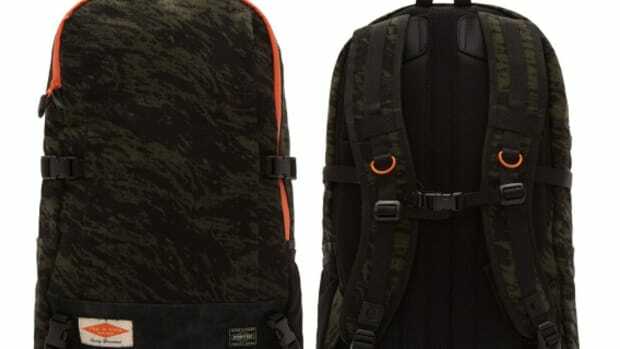 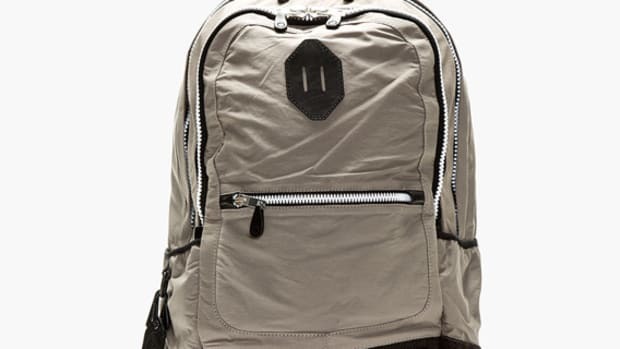 Additional details include two-way zip closure at the main compartment, a zippered welt pocket, leather cargo loop, and elasticized welt pockets at the side panels. 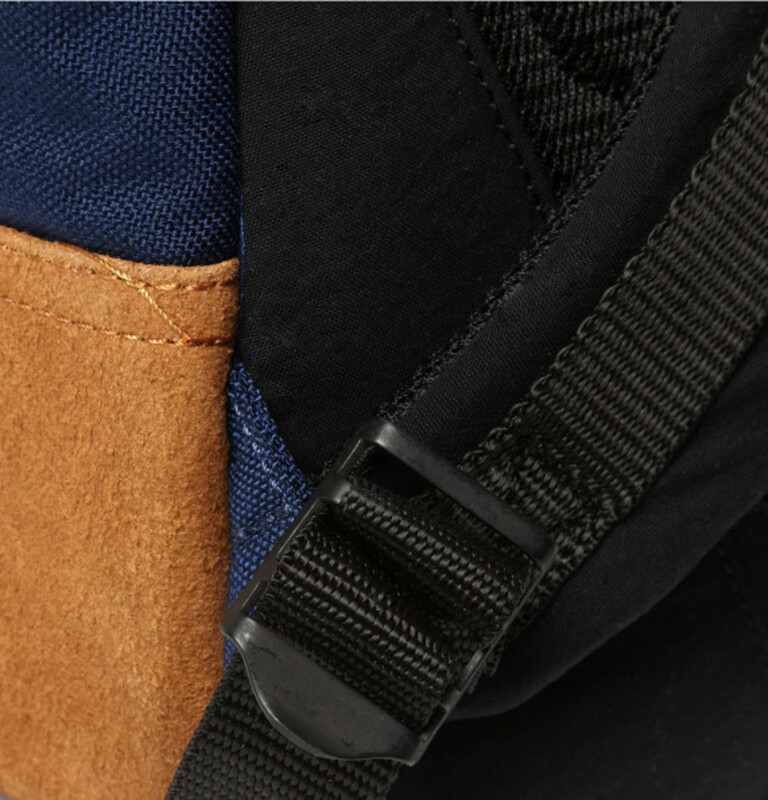 A removable leather and black metal keyring and padded straps finish the look. 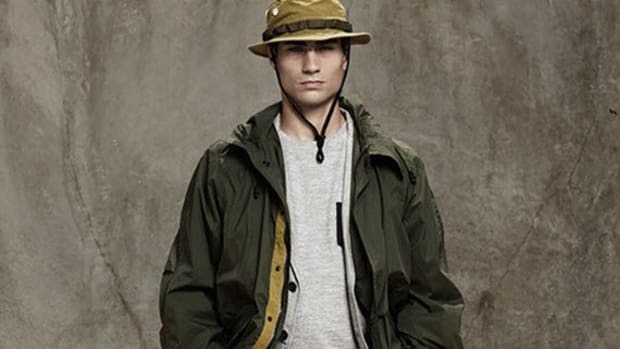 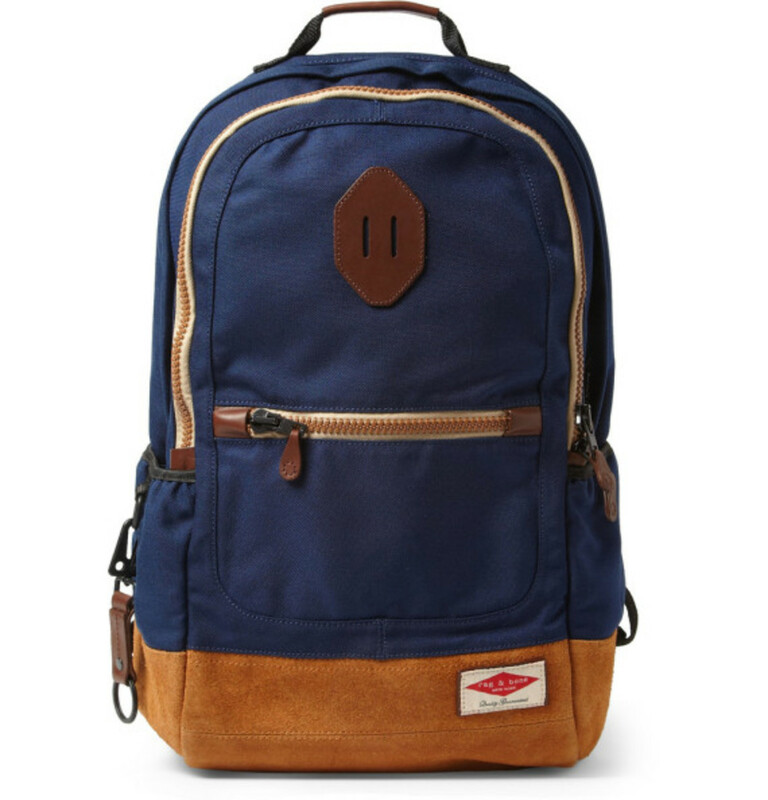 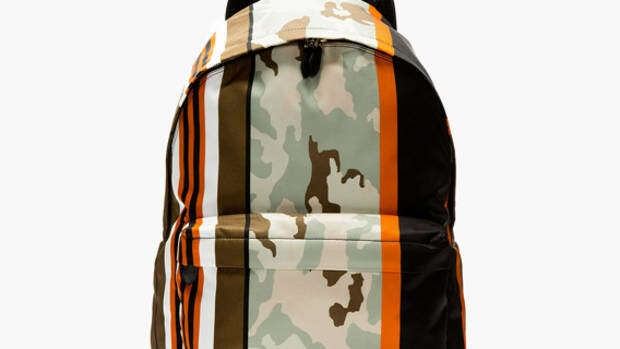 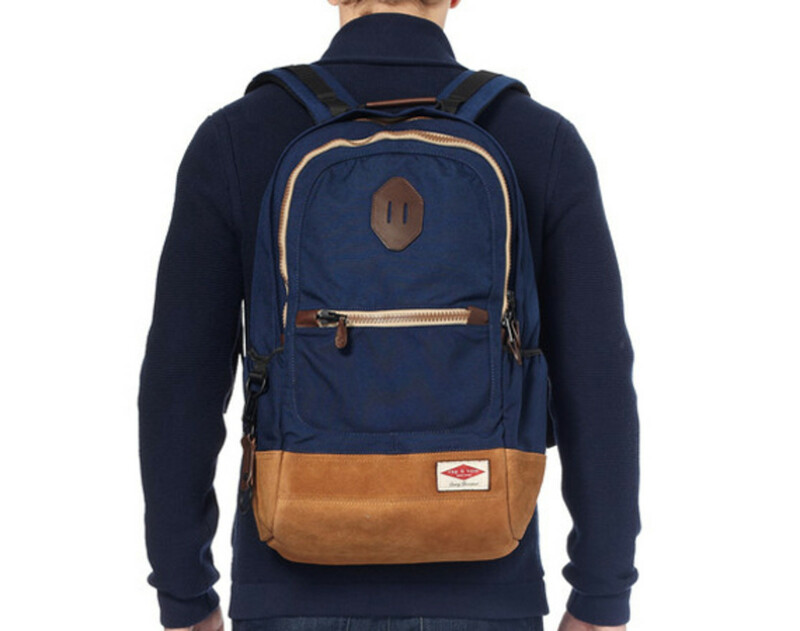 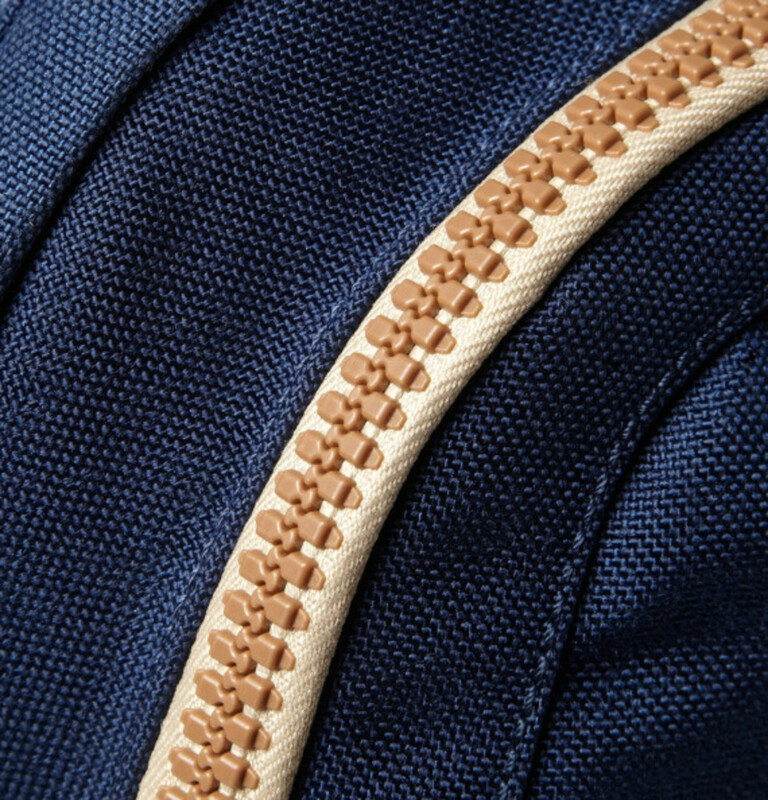 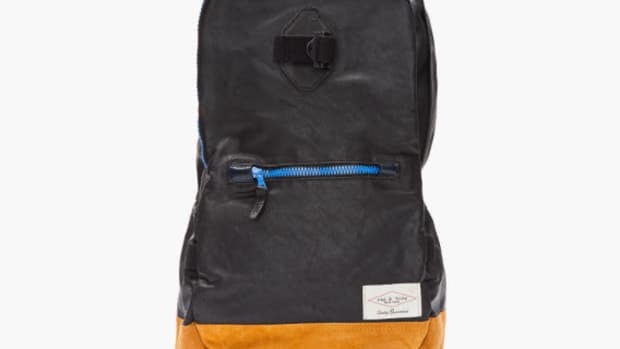 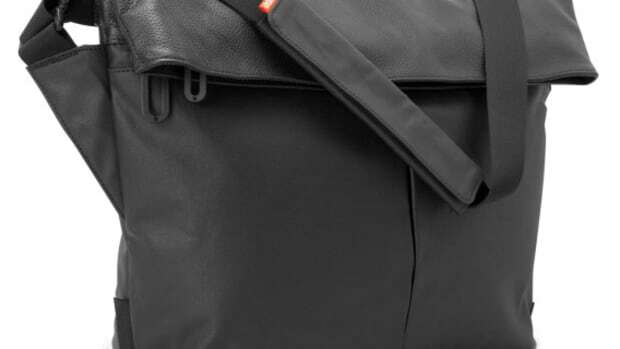 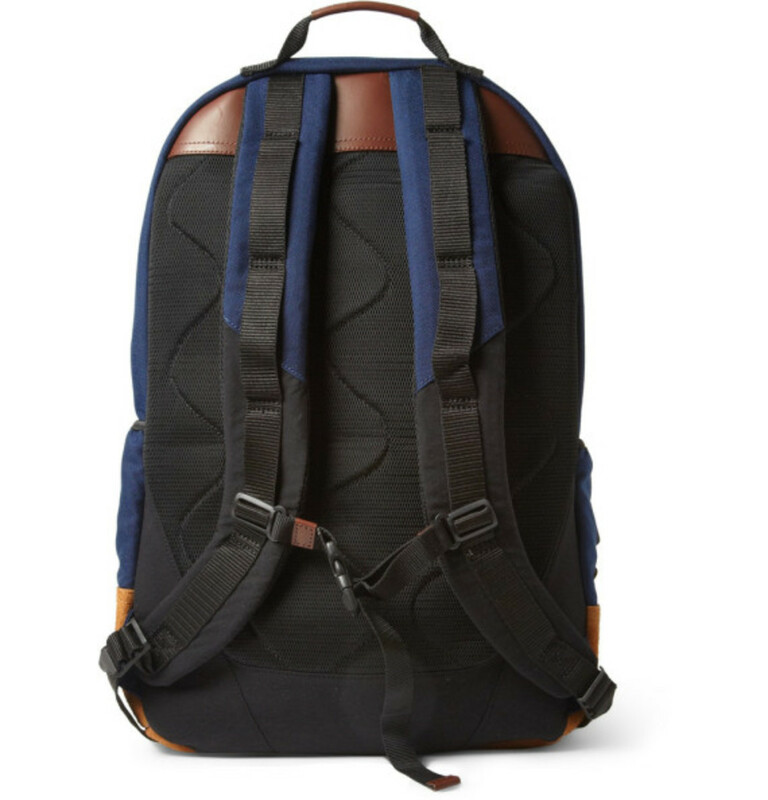 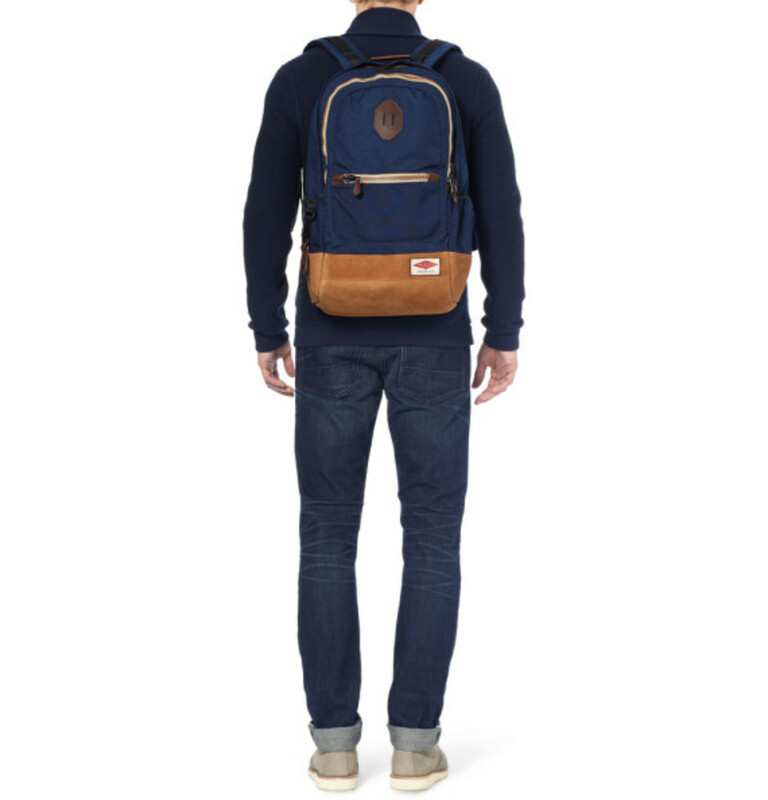 Continue reading for detailed images, and find the backpack in stock now at MR PORTER.